Rosemary oil has plenty of health benefits to its name. Its pleasant scent is excellent for aromatherapy, alleviating your physical ailments and reduce your stress. Aside from the scent, it has been known to relieve muscle aches and respiratory problems, among other ailments. 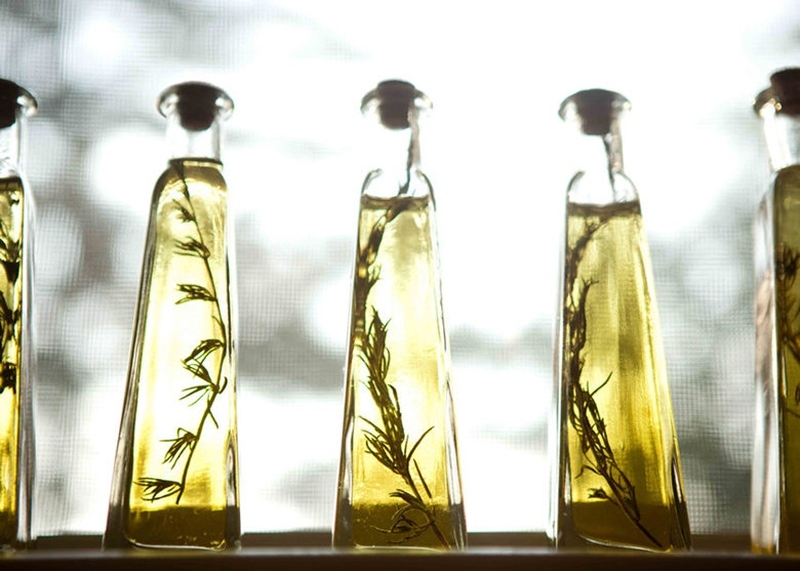 While you can purchase rosemary oil from the most herbalist, but you could make it economical. Learn how to make rosemary oil yourself! Continue reading for a short guide on how to make rosemary oil and its benefits. Start by removing the leaves from the rosemary stem. Measure it to one cup for this instruction. Turn the heat off and let it cool for an hour. Strain the oil over a bowl. The oil are now ready for your daily use! Rosemary does pack an earthy and pungent punch on its own, but you could combine it with other dried herbs for that extra kick. A single bay leaf or two for complementary aromatics. A sultry licorice bite can be added with fennel seeds. Oregano lends additional earthiness while sage gives it more astringency and warmth. To aid digestion, rub some on your stomach or the bottom of the feet. To reduce stress and fatigues, inhale the vapors or apply topically on your forehead and back. For a quick flavor and aroma enhancer, a drop or two on a piece of cooked steak is excellent. Rub your hands together with a few drops of the old and cup them over your mouth and nose. Feel the scent flood your sense for a minute for instant stress reliever or unblock your nose. Indigestion. Stomach problems? Flatulence, cramps, bloating and constipation, rosemary oil can relieve them all. Not only that, it also stimulate your appetite. Need more persuasion? Research shows that the oil can help to detoxify the live and aid in regulating the bile, which is crucial for digestion. Stress relief. We all know about its aroma-therapeutic properties, but do you now that inhaling it decrease the cortisol level, a hormone released when we are feeling all stressed up, in the saliva? A study on 220 shows that the inhalation of rosemary oil for a mere 5 minutes will significantly reduce the cortisol levels of the subjects. For people with chronic stress, consider incorporating the oil in your daily life. Pain relief. The cooling effect of the essential oil relieves aches and pain. It’s widely used for headaches and muscle pains treatment as a result. Slowly massage away the pain with the oil or add it to vapor baths for rheumatism reliever. Sprains and joint aches? Anti-inflammatory qualities help to address those type of pain too. Immune system boosts. That same 2007 study on lower cortisol levels with the inhalation of the oil vapors also found that the subject’s body have an increased free radical-scavenging activity. The antioxidants properties are important of ward off diseases and fight infections. Regular use of rosemary oil is a must since it support your immunity and makes your body stronger against free radicals related diseases. Respiratory problems. If you ever inhale one before, you will feel that immediate throat and respiratory relief. It’s an excellent quick treatment for the colds, flu and runny nose. Moreover, the antiseptic properties it has been effective to prevent respiratory infections.